AUSTIN, TX – September 26, 2017 – Austin Veterinary Emergency & Specialty Center (AVES) located at 7300 Ranch Rd 2222 in Austin, welcomes Tracy Sutton, DVM, DACVIM (Neurology). As the second board certified neurologist in Austin, Dr. Sutton’s arrival ensures area pets will have more access to high-quality neurologic care. Veterinary neurology pertains to diseases that affect the brain, spinal cord, and nervous system. Sutton, who leads the AVES Neurology department, specializes in the diagnosis and treatment of such diseases. AVES is equipped with advanced imaging modalities including a 1.5 Tesla MRI unit and an 8-slice CT scanner. Such equipment is essential to properly diagnose and treat many neurologic conditions. The AVES neurology department works in conjunction with the surgery, internal medicine, critical care and oncology departments, since neurologic diseases often have underlying or complicating medical problems. 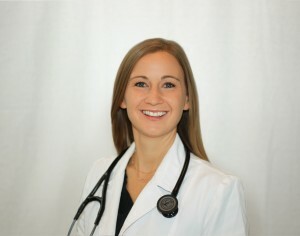 Dr. Sutton obtained her doctor of veterinary medicine degree, as well as completed her residency at Tufts Cummings School of Veterinary Medicine. She is trained in neurology as well as neurosurgery. She has received many honors and is actively engaged in ongoing research studies to advance the neurological care for animals.